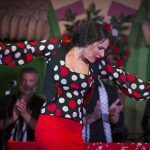 Portada » Flamenco styles, what are they and how to distinguish them? To understand what flamenco styles are, it is convenient to remember the basic elements that give life to this original Andalusian art: sing, dance and guitar. It is known as ‘palo’ to each of the styles of sing, that is, to the different modalities that exist and that are grouped differently according to their origin, metric or if it be accompanied by dance or guitar, among other characteristics . The traditional division distinguishes between basic songs, fandangos and their derivatives and, finally, those flamenco styles that have regional or American influences. Each flamenco style has a structure, which includes a fixed part and a variable part. The fixed part is what allows the cast of artist, especially when they act in a group to go at the same time or ‘al compás’ (to the beat). The variable refers to the ‘improvisation’, one of the peculiarities that this art has loaded with emotion. Which flamenco styles are the best known? It is difficult to determine the exact number of flamenco styles that exist, although if you want to get an idea, the number exceeds half a hundred, that is, more than 50 different styles are distinguished in this Andalusian musical genre. This is the reason why it is difficult to address all the styles in this article. Therefore, we have chosen those that accompany the dance, which are usually also the best known. If you ask yourself, what was the first flamenco style, the answer is the fandango. Already in the seventeenth century, it was the best known in Spain. A style that has evolved over time with the incorporation of instruments such as bandola or the accompaniment of dance, something that has led to the creation of other flamenco styles such as malagueñas, granaína, taranto or jaberas, among others. Of Arabic and Portuguese origin, its compass recalls fado and a mixture of cultures that it possesses. Each zone has created its own style. This is the reason why we currently enjoy the fandangos of Huelva or the fandangos of Málaga (or malagueñas), among others. Although it is not the oldest, it is the style that has best preserved the values ​​and qualities of jondo art: for its compass (combination of 6/8 and 3/4); its tone and its melody. We speak of the soleá or soleares, one of the most solemn and deep woods, whose lyrics are usually full of emotion and feelings. The bulerías are ‘partying’ style par excellence. It is a style that transmits hustle, bustle … There is no flamenco party that does not end in bulerías and is easily recognizable both for the most knowledgeable and for those who have little knowledge about flamenco. It is that moment in which the artists form a semicircle and come out one by one to dance a part of the piece. The compass is the same as that of the soleá, but much faster! The bulerías transmit noise, fuss … In the case of bulerías by soleás, the rhythm is slower. Another one of the sticks of celebration and joy is that of the alegrías. A light, cheerful and sensual style, which also belongs to the dance songs, and whose melody incites dance. His compass is the same as that of the soleá, but it goes faster. It belongs to the cantiñas genre and is the ideal counterpoint to the soleá. As with soleares, tangos are considered one of the basic flamenco styles. On its origin there are many theories. Some experts consider that its origin is Afro-Cuban and others indicate that its origin is American. What they all agree on is that it is another of the festive styles and probably the oldest tango dance, being an essential part of the repertoire of flamenco artists. 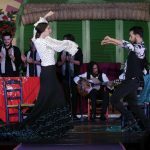 There are many types of flamenco tango, but the most outstanding ones are those of Granada, Cádiz, Triana, Jerez and Málaga. When the gypsy tango becomes slower, it becomes more insinuating if possible, and then it takes the name of tiento. The seguiriyas is another of the oldest flamenco styles and with a heavy burden of sadness, pain and feeling. They emerged mainly in Cádiz and Seville, with Jerez de la Frontera and the Triana neighborhood as main focuses. It is the modality that most reminds cante jondo. His dance is usually solemn, without ornaments and full of emotion. And to finish, you can not miss the sevillanas in this list. 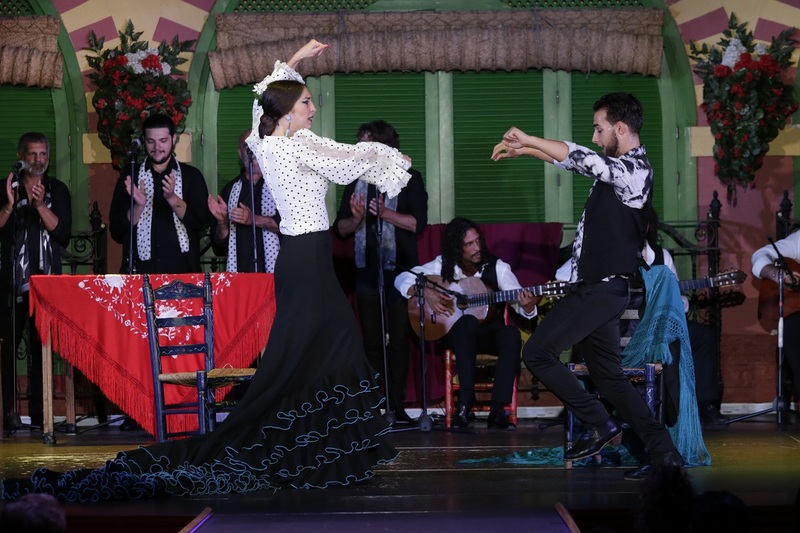 Without a doubt, this is one of the most popular and extended flamenco dances. It is danced in pairs and is present in all the fairs of Andalusia. It is not only one of the most popular flamenco style, but also the most danced in and out of Spain. How to differentiate the flamenco styles? Knowing how to differentiate the flamenco styles is a fundamental career, that is, it is a learning that requires time and, above all, a lot of listening. Most styles are grouped into families so many will think they are practically the same, but no. They just look alike! The crux of the matter is in the accent. What accent? You will ask yourself. The one with the compass. You have to look at the song’s metric. What compass do you have? 2, 3, 4 or 12 times. The next step is to determine where the musical blow (accent) is. Based on this, we will be talking about one or another suit, when they share a compass. For example, the fandango and sevillanas have ternary time signature (3 beats), but if you listen to them you will notice that they ‘sound’ differently. 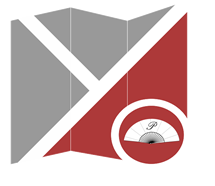 In the case of the binary compass (it divides the time in two or four parts) it is typical of the tangos, the tientos and other styles that derive their rhythm from these as the rumbas, the milonga or the colombianas. The alegrías, the bulería or the soleá are examples of twelve-beat poles, which you will also notice are different when you listen to them. 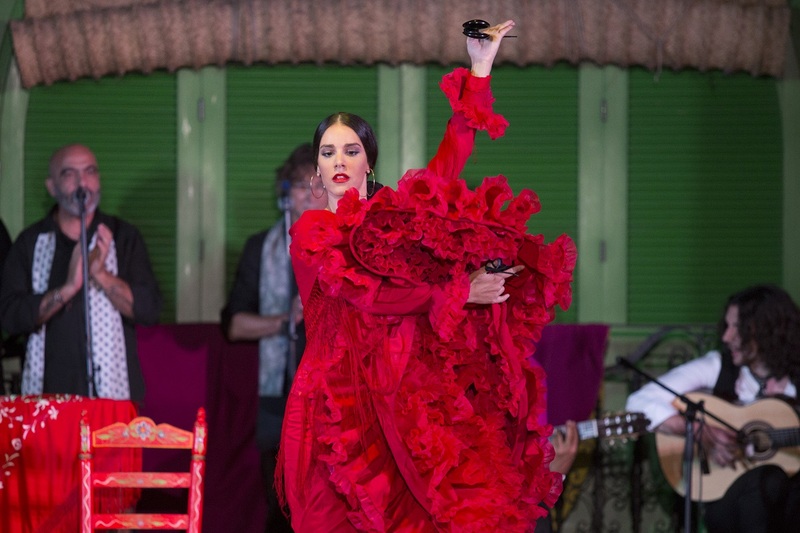 Another point that is key when it comes to differentiating the flamenco styles is to look at the lyrics and their stanzas or as they are called in the cante, the couplets. Let’s set an example so you can understand what we say. The seguiriyas are of three or four verses, but of five and seven syllables, and the short verses always rhyme. In the case of the fandangos, the couplets have five verses and rhyme, on the one hand the pairs and on the other the odd ones. As you can see, flamenco is an exciting art, but also complicated to soak up in a few minutes. It is a matter of getting started with the most popular flamenco styles and little by little progressing in the knowledge of each style. Undoubtedly, the best way to put this knowledge into practice is to go to a live flamenco show. The experience is worth it, above all, to appreciate how artists interpret each flamenco suit differently. 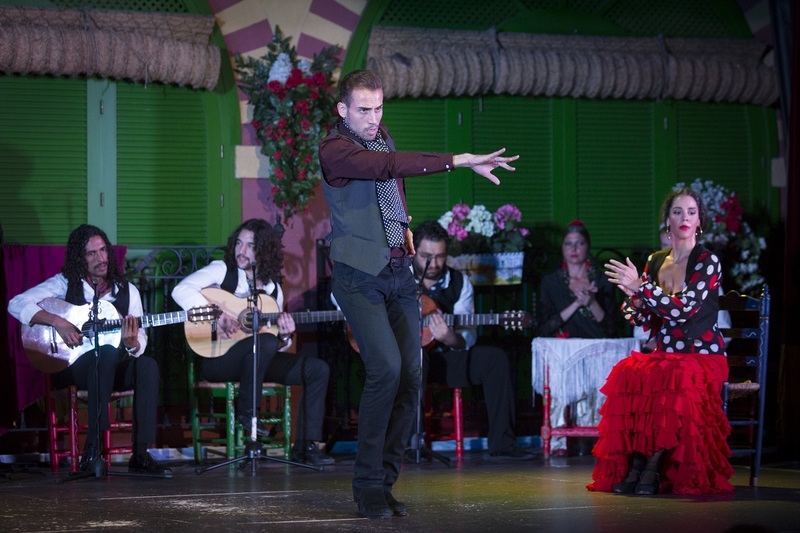 If you visit Seville, do not miss our show, where you can enjoy a tour of the most traditional flamenco styles. Remember, we have special prices for online bookings. If you want to enjoy a unique show in Andalusia, we wait for you at the tablao El Palacio Andaluz. What is the flamenco compass?